Have you ever wanted to use crayons in craft project but thought the project might look kidish? Well, today I'm going to show how to give those kid crayons a sophisticated look. Step 1: Take the crayon wrapper off your crayon. The best way I found to remove the wrapper, is to take your craft knife and run it along the back of your crayon. When you do this, your crayon wrapper will come off your crayon in one piece. Step 2: Once you have remove the wrappers from your crayons, break them up in varies pieces. 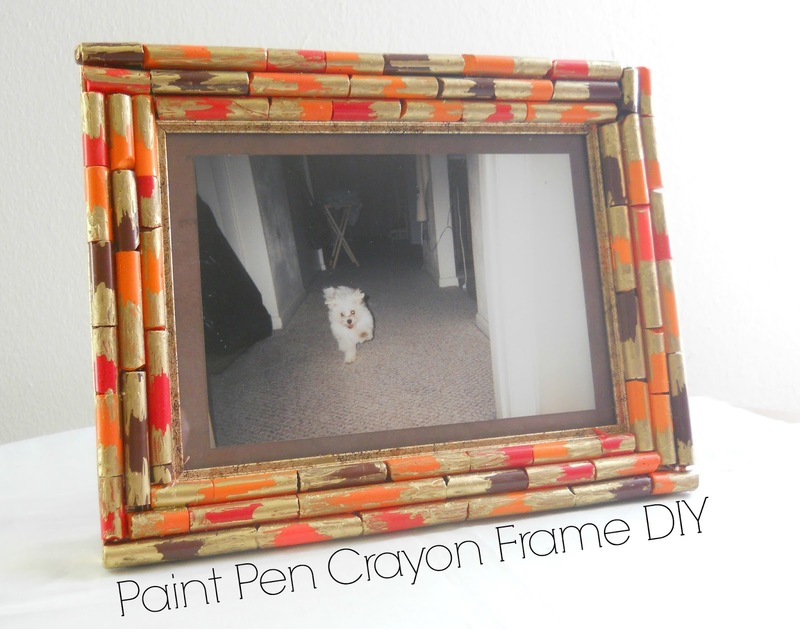 Step 3: Then take your E-6000 and glue your crayon pieces down. When your done you should have something that looks like picture 2. Step 4: Once all your crayons are glued down, take out your paint pen and begin painting each crayon. Also don't worry about your paint being ''even'', this project is suppose to look a little abstract. Let your paint dry, then your done! Thanks really cute!! doesn't even look like crayons.